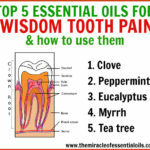 Clove oil is renown for tooth pain but do you want to know how to use clove oil for tooth whitening? Is it even possible? 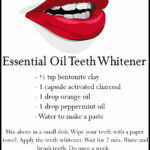 Find out the methods you can try out to whiten your teeth with clove oil. 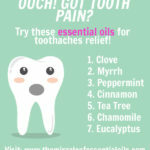 Clove Oil For Tooth Whitening? The process of teeth whitening doesn’t exactly change the color of your teeth. It just lightens their current shade, adding a sparkle to your smile. Discoloration is the most common cause for people to resort to teeth whitening and is caused by tartar, plaque or other assorted oral conditions. 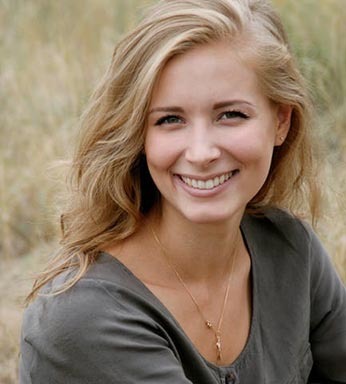 Teeth whitening treatments are also done to look good for special occasions like a wedding, party or for facing a crucial job interview where you want to look confident and attractive. Ageing, smoking or chewing tobacco for prolonged periods of time also cause tooth enamel to wear out, leading to dental discoloration, which needs whitening. Your teeth may also get stained from excessive consumption of tea, coffee or wine. Moreover, dark sodas and certain medications such as antipsychotics, antihistamines, anti-hypertension drugs as also antibiotics like tetracycline cause tooth discoloration. Whitening helps to eliminate discoloration, giving you a brighter and enviable smile. According to research conducted by the American Dental Association, even though most commercial tooth whitening products promise to leave you with gleaming teeth, certain dental stains can’t be removed at all, no matter which product you use. However, most people continue to use them for a quick fix. These products contain harsh chemical ingredients that are toxic to health. Regular use of commercial tooth whitening products lead to serious oral conditions like damaged gums and dental enamel, as also tooth loss. Clove oil has been in use for thousands of years and is known for its great healing powers. That’s why it has been used widely in conventional Chinese medicine as also the ancient medicinal science of Ayurveda. Apart from its high anti-microbial, antiviral, anti-fungal and antiseptic properties, clove oil is extremely rich in antioxidants also. Moreover, it’s an effective aromatherapy agent and used as an analgesic, particularly for abdominal pain and toothaches by direct application. 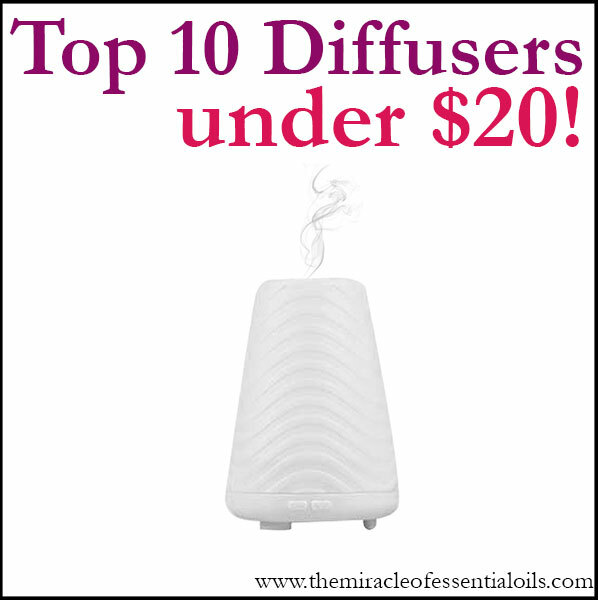 It is also mixable with other essential natural oils for treating numerous other disorders. For example, those suffering from insomnia will get relief by applying a mixture of warm clove and sesame oils on their forehead to feel relaxed and calm. Clove oil’s potent germicidal properties are because of the presence of a compound known as Eugenol in it. This treats mouth ulcers and sore gums very effectively while gargling with warm water and clove oil helps fight bad breath. Take a glass of lukewarm water and add 4 drops of clove oil in it. Stir with a spoon and gargle twice daily for the best results. Additionally, clove oil also enhances immunity; helps fight infections; soothes a sore throat while also tackling cough, cold and sinusitis; cures headaches, muscle and joint pain; protects the skin from premature ageing; tackles digestive problems like indigestion and flatulence; improves scalp circulation; reduces nausea and ear aches; busts stress and mental fatigue; fights diabetes and is a powerful insect repellent also. 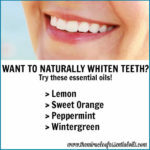 Can Clove Oil Help With Tooth Whitening? Clove oil is extremely beneficial for maintaining good oral health and yes, it acts as a teeth whitener when rubbed over the teeth after regular brushing. Proper oral hygiene is key for keeping your teeth pearly white. Don’t expect to have great results just applying clove oil all over your teeth without proper brushing and flossing. Take 1/2 teaspoon of freshly ground cardamom powder and add 8-10 drops each of clove oil and frankincense oil. Mix in just enough fractionated coconut oil to create a thick paste. Mix well. Brush your teeth well with your regular toothpaste and then apply the paste with a fingertip all over your teeth. Leave for about 10 minutes, spitting out the saliva. Rinse off thoroughly with a glass of lukewarm water mixed with a pinch of salt. The results are instant and simply amazing. If you don’t have cardamom powder, you can substitute with cinnamon powder. In a glass of warm water, add in a teaspoon of sea salt and mix until completely dissolved. Next add 1 teaspoon of clove oil, 20 drops of peppermint oil and 10 drops of myrrh oil. Mix well. 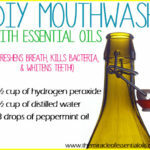 Swish and gargle this clove mouth wash as many times as required. Spit out. Wash your mouth with plain water. 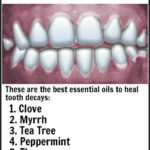 The clove oil’s antiseptic qualities eliminate stains caused by oral bacteria and make the teeth appear whiter. Need a deep exfoliation for your teeth? Years of neglect could have left a thick layer of discoloration on your enamel. In such cases a simple clove scrub can do wonders. Make a paste of 2 tsp of baking soda and 1/2 tsp of clove oil. You’ll have a rough looking paste. Brush your teeth as per usual. Now apply this clove paste onto your teeth and gently brush it all over using a clean tooth brush. You can also use your finger tip to really rub it in. Now use a wet cotton cloth to firmly wipe each tooth. You’ll notice quite a lot of discoloration on the cotton cloth. Wash out your mouth and behold your sparkling teeth. Keep in mind that this clove scrub is abrasive and should be used only once a month. 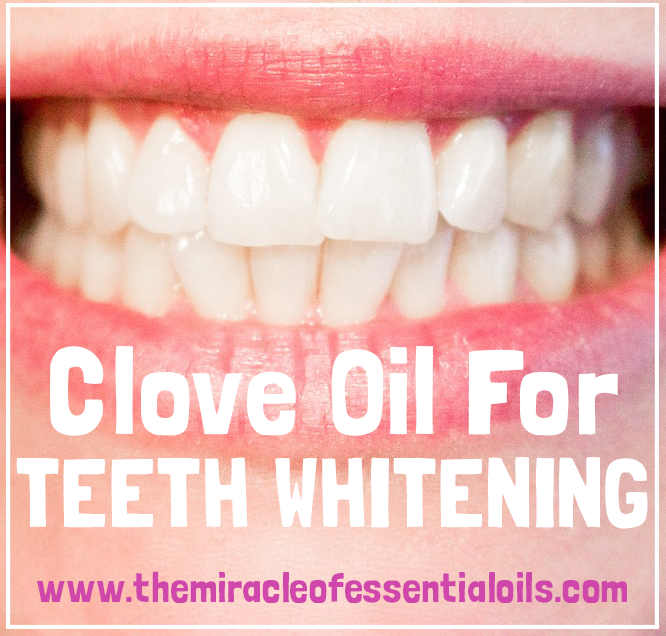 What do you think about clove oil for tooth whitening? Have you tried it before? How well did it work for you? Share in the comments so everyone can benefit from your experience!